Welcome to my homepage. 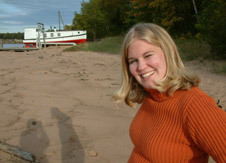 My name is Jackie Graham and I am a student at the University of Minnesota Duluth. I am in my fourth year as a Secondary Math Education Major while getting my certification in Technology. This website is designed for the display of my work in my education classes here at UMD. There are many pages on this website related to many different classes. For more information email me.